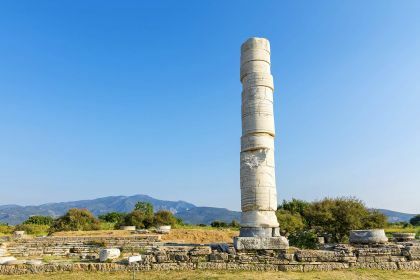 Rooted in Greek philosophical legend, the famed island of Samos — which lies just off the Turkish coast — is one of the northeastern Aegean Islands’ best-loved destinations. As the birthplace of the philosopher Epicurus, it’s generally recognised as having a strong epicurean spirit. i.e. It is devoted to all things pleasurable and hedonistic. This sensual island will seduce with its simple pleasures: think immaculate beaches, scrumptious cuisine, balmy temperatures and warm, lapping waves. 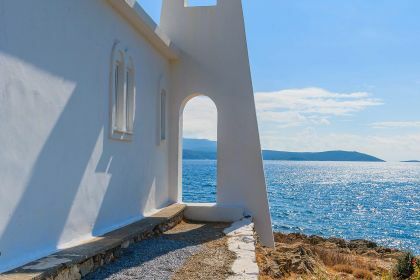 Lying just one nautical mile off the coast of Turkey, Samos is ideal for yachting enthusiasts like you, keen to get as varied an experience from an island-hopping adventure as possible. 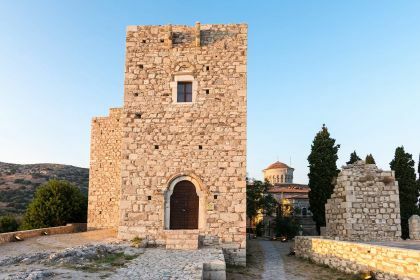 Not only does Samos boast phenomenal natural beauty, but it also blends traditional and cosmopolitan, history and modernity, as well as offering top-class amenities and infrastructure. 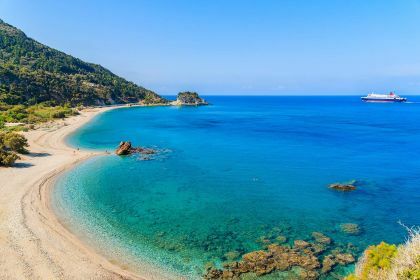 Samos’s beaches are the stuff of legend, so we recommend you start your Samian adventure by visiting a selection of these glimpses of paradise. Potami Beach, in the northwest of the island, offers lovely views, unusual rock formations and exhilarating snorkelling spots. The nearby Potami Waterfalls is also worth a visit. Access it by mountain river, rock scrambling and splashing as you go, or use the stairs, and take in the majestic views before you sample some delectable food from the restaurant perched on top. Next, try Lemonakia and Kokkari beaches, which lie northeast of the island. An hour or so of leisurely sailing in your luxury yacht will deliver up the charms of the northern coast. Then move east, and drop anchor at the stunningly beautiful and dramatic Livadaki Beach, before moving onto the pretty Pappa Beach, with its transparent seas and bustling tavernas. As you beach hop by yacht, you will spot hidden little coves and isolated beaches aplenty. These are mostly only accessible by yacht, so keep an eye open for your own little private corner of the island. Insider tip A visit to the Potami Waterfalls is truly unmissable. An exhilarating aspect of it is the journey up-river, where the depth of water can vary from just 30cm to 1.5m — so be prepared to swim. The tallest of the waterfalls is 4m high, but there’s rope hanging nearby, so tap into your adventurer and hoist yourself up. Of course, if you prefer a more relaxed visit, a shower under the gushing falls is special enough to leave you with some awesome memories.